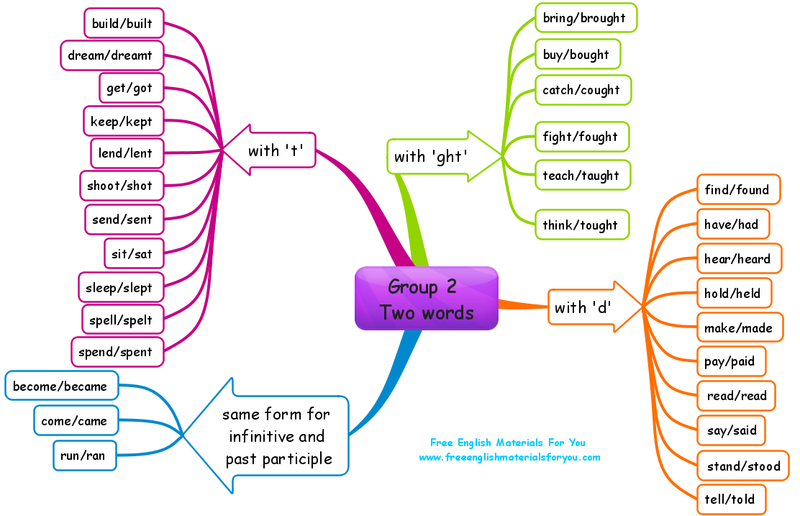 You can find this mind map (IMX. file) on Biggerplate. 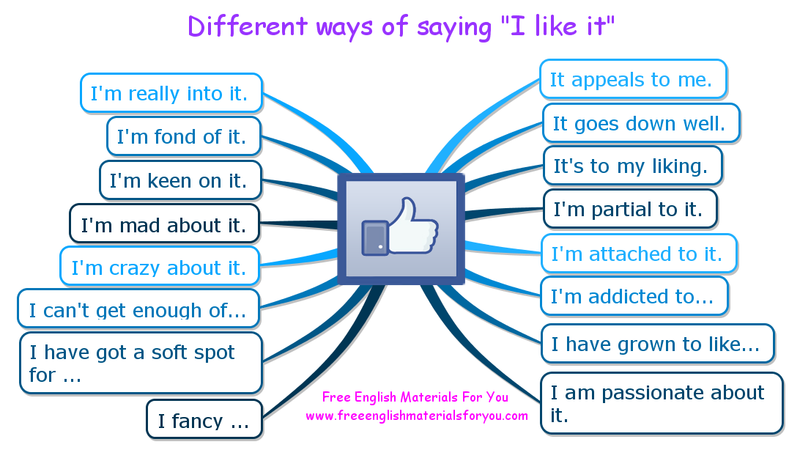 It’s since a while that I am not uploading posts on grammar. 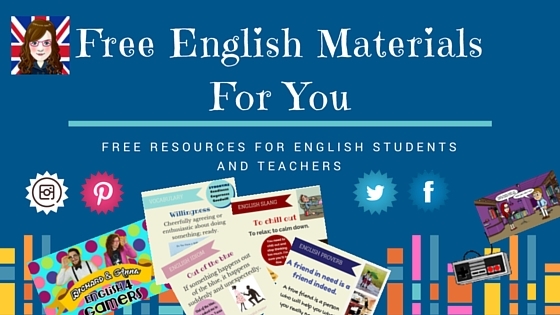 In my opinion, for a beginner is not so easy to memorize irregular verbs, that’s why I decided to make mind maps and other resources on this topic. I hope you’ll find it useful. 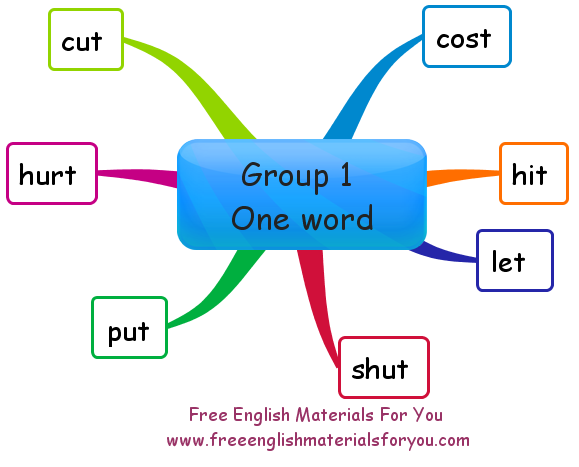 Since there are a lot of irregular verbs I decided to make smaller mind maps for each single group. In this way, it will be easier for you to read them. This means you’re interested in an activity or a subject. Ex. I’m really into gardening, but these squirrels keep messing with my tomatoes. This means you have liked something for a long time or may have an emotional attachment with something. Ex. He is fond of this kind of music. This just means that you’re interested in something and you want to learn more about it. Ex. I’m keen on learning English. I love doing something and I do it a lot. Ex. It’s a real tragedy, I love this woman, I’m mad about her. This is the same as “I’m mad about it”. Ex. Finnish women are crazy about cars. This means that I love doing it and I don’t want to stop. Ex. Yeah, I can’t get enough of new wave. You like someone a little more than other people. Ex. No, don’t tell me you’ve got a soft spot for this guy. You think that he/she is attractive, good looking. Ex. I mean, she may fancy him, but she’d never act on it. It sounds/ looks great. I like the idea of it. Ex. In his report, Mr Szejna has opted for a wide approach, which appeals to me. This means that other people like something that you do. Ex. The presentation went down really well with the class. A very formal way to sai “I like it”. Ex. The colour of the paint is just to my liking! It means that I like to eat or drink something, maybe too much. Ex. I like all the food here, but I’m particularly partial to the fried chicken. I like it a lot, and if I lost it, I would be sad. Ex. Giovanna, I admit that I’m very attached to you. It means that I like it so much that I can’t stop doing it. She looks nice enough, but she lies on her taxes and she’s addicted to painkillers. I didn’t like it at first, but now I do. Ex. I’ve grown to like the music of Radiohead. I am passionate about it. This means I’m really interested and excited about it. Ex. Julia runs the selection committee, and she’s very passionate about the candidates. You can download this mind map on Biggerplate. Bye! => very common way to say goodbye. Bye bye! => it sounds very kiddish (more for kids). Later! => Very friendly and casual way, more for men. Ex. “Later bro!”, “Later man”. See you later / soon => Very casual and relaxed goodbye. It can be used to indicate that you want to or plan to meet with the person again soon. If you use “ya” instead of “you”, this become even more casual. 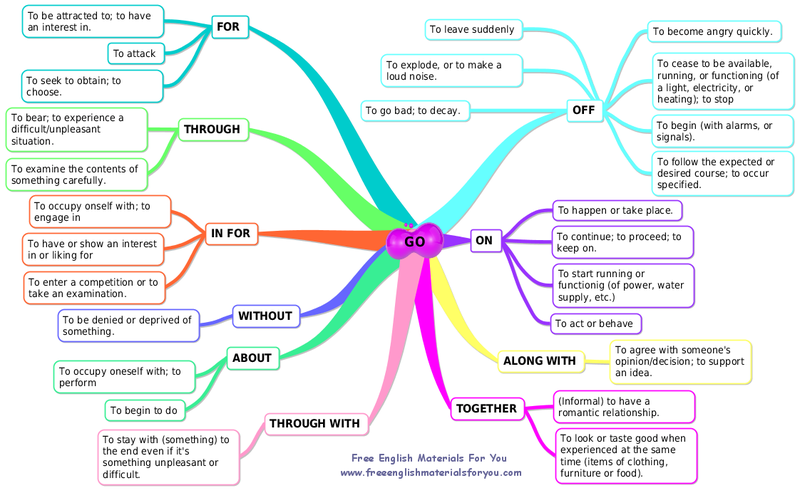 I’ve got to get going / I must be going => This is used in casual situations when you want to escape the conversation quickly and you don’t want to go through a longer or more sentimental goodbye. Take it easy => It’s now less used than in the past. It is casual and it means “take care”. Have a good one => Similar to “have a nice / good day”, but it sounds really casual. So long! => It’s used in some news headlines, but not so common between people. Alright => Very casual way. Have a nice day / have a good day! => For example, you buy something in a shop after you have paid the cashier would tell you “Have a nice day”. Take care! => it is a little formal and you use it with your close relatives and other people you are close too. You might use this in an email or written letter. It was nice to see you again / It was nice seeing you. Good night! => Notice that “good afternoon”, “good morning” and “good evening” are greeting expressions and you can’t use them to say “goodbye”). Farewell => it is more like a final goodbye. For example, someone is moving abroad and you are not going to see this person again. In this situation, you can use “farewell”. It is the type of thing that two lovers in a movie might say if they’re never going to see each other again. So, you probably won’t use it often in daily life. Peace / peace out => it comes from the hip-hop music culture. It’s more of a hand gesture. It is a very casual way and it means that you wish the other person well. I’m out / I’m out of here => You are really happy about going. I gotta jet / I gotta take off / I gotta hit the road / I gotta head out => these are slang versions of “I have got to get going”. “Gotta” is an abbreviation of “got to”. Catch ya later! => Variation for “See you later”. This is used very casually between friends or acquaintances. Smell you later! => This is something you’ll hear kids say far more than adults! But grown-ups might occasionally be overheard saying this to a friend as a joke too. Mind maps download (imx file) available on Biggerplate.